Skye Backpackers i Isle of Skye, Skottland: Bestill nå! 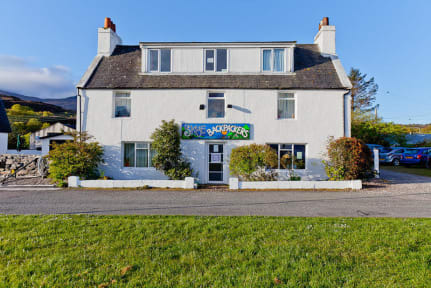 Come and stay in this wee village; the gateway to the Isle of Skye. With its lively pub atmosphere and quiet, comfortable accommodation, Kyleakin is the perfect place to come to escape the stresses of city life. 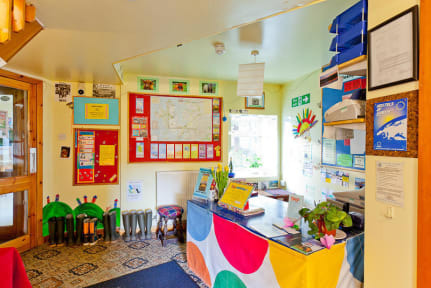 We offer a variety of accommodation from our standard mixed and female dormitories, and for the traveller on a budget we have our basic dormitory, which is a converted caravan situated in the back garden. The hostel reception is open from 7am - 12 noon and then from 5pm - 10pm. If you arrive in the afternoon, please feel free to leave your bags and use the facilities, and then check-in between 5pm-10pm. If you think you may arrive later than 10pm, please let us know so that we may inform our night porter of your late check-in. All guests must have suitable photographic identification to stay at our hostel. If any guest within your booking is under the age of 18 you MUST contact us before making the reservation online.